Trend Definition – The first definition emerges from the etymology of this word is the willingness or interest of men. Willingness is to achieve a particular purpose. It is also the force that allows an object or body to lean tow ards another. It also designates the understanding of art, economics, politics, and the culture of a period by a person. Similarly Psychology is the reaction causes the acts subject to come to an end. 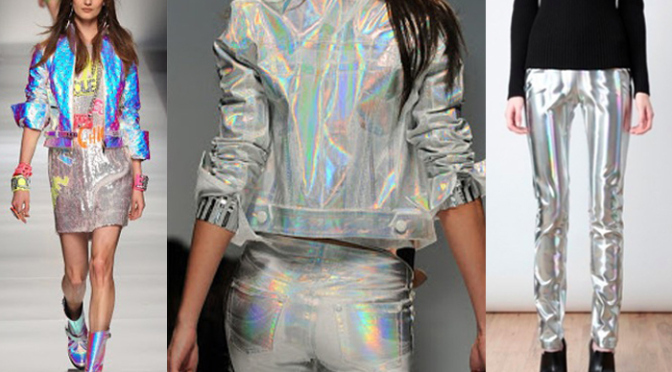 Now Trend is the patch wear, sequins, short boots, skin, leather, gold, silver in materials. Similarly PVC, long skirts with deep gashes, the spirit of Woodstock 70’s also joins the list. This can be chosen by a designer and turn it into main protagonist. From there moves to firms called signatures low cost or the street. Inspired by planets and the solar system. 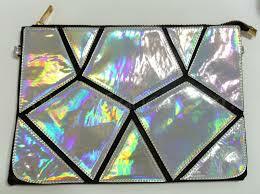 Elements of light and bright colors, along with interesting prints, textures and shapes, full color inspired by the galaxy. Holographic sky, produced when light is illuminated to create a tri-dimensional image. Inspires beautifully colored rocks of minerals make holography a thing of the future and something that appreciates for its beautiful array of colors. The world embraces the pixel of the technology and translates it in different ways. Thus creating a lifestyle of simplicity and eccentrics. Rely on light exposure holographic nail colors. Accessories absorbs the light, thus displaying a variety of colors as pixelates. Related to the word of technology. Metal Color as metallic meteorite deeply inspire by the dark metals and minerals evoke the future. Accessories are constructed of things found on earth mainly on gold metal, which illustrate natural feeling of hardware. Fabrics: Fabrics and fibers are hard and durable. 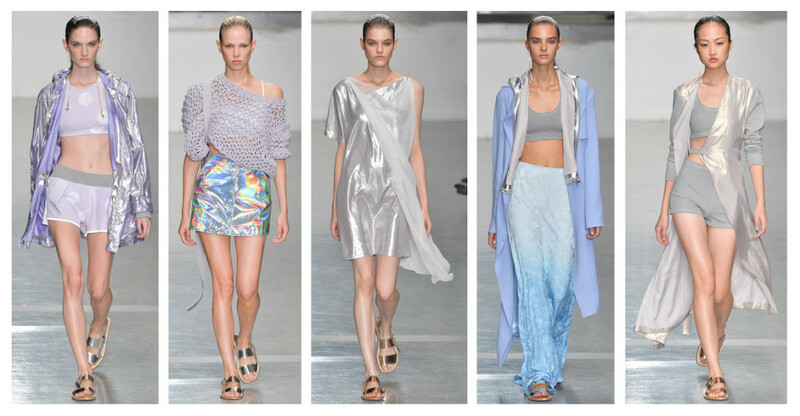 They can be layered to create drama, using leather, and coated fabrics provide texture and contrast. Chains are used to add roughness. Shades of gray, white and black produce modern, hard and simple silhouettes. Rough and hardware texture evoke a state of rigid and dense mood. Fabrics with pixelated effect look like futurism. Textures: Also the materials are important since in many cases are used repeatedly among some designers and then go on to have importance in the market. Silhouette – The form or shape is also important, such as long skirts, high of waist, over coats, etc. The fashion trend, not only means decorate the body but is also connected to a society where cultural values ​​are, among others, come to belong to a group. For its part, the style is a form of personalization, a way of showing different from the others, and so identify themselves as unique and special in ordinary people. Actually, nothing is invented. 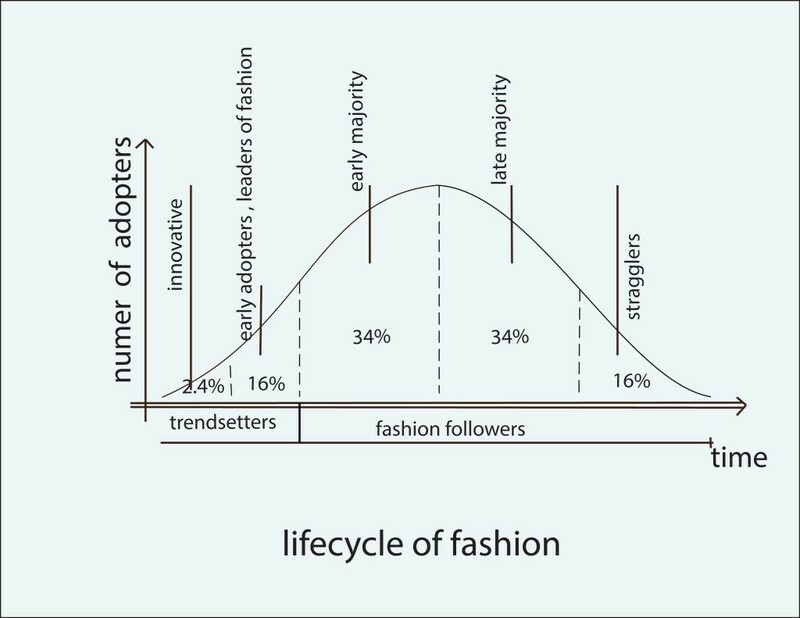 Marketers see the fashions and trends with a life cycle entry (only the most innovative people use), growing (gradually people will imitating and copying trendsetters trend), maturity (sales leveled, the market is saturated and the trend is not new) and decline (no one wants to use it because it is outdated). When a trend is everywhere we find the beginning of the end. So they come and go cyclically clear the skinny jeans and baggy pants, pointy-toe shoes and shoes round toe, dark colors and so on. Coco Chanel guessed that the exaggerated hats were about to go down in history when he realized it was totally impossible to add more feathers, more volume, more ornaments. He triumphed with its small and simple boater. In the 60s, skirts shortened centimeter by centimeter each season. Miniskirts became microskirts. Until they reached the 70s and skirts fell to the ground. Actually, to guess the trends go the opposite. After exaggerated, excessive 80s, the 90s had no choice but to be minimalist. The Internet has accelerated this process that once took years at a dizzying pace today.